So Rob’s best friend, Ryan just moved down to Southern California, and to welcome him I made him a yummy dinner. We had a really delicious Persian Lamb Stew and for dessert I wanted to make bananas fosters. The dessert was created in 1951 by Paul Blangé at a restaurant in New Orleans called Brennan’s. It was named afterRichard Foster, a friend of the owner who was then the New Orleans Crime Commission chairman. So for bananas fosters, you gotta have vanilla ice cream, and I thought, why not take a shot at making my own ice cream. 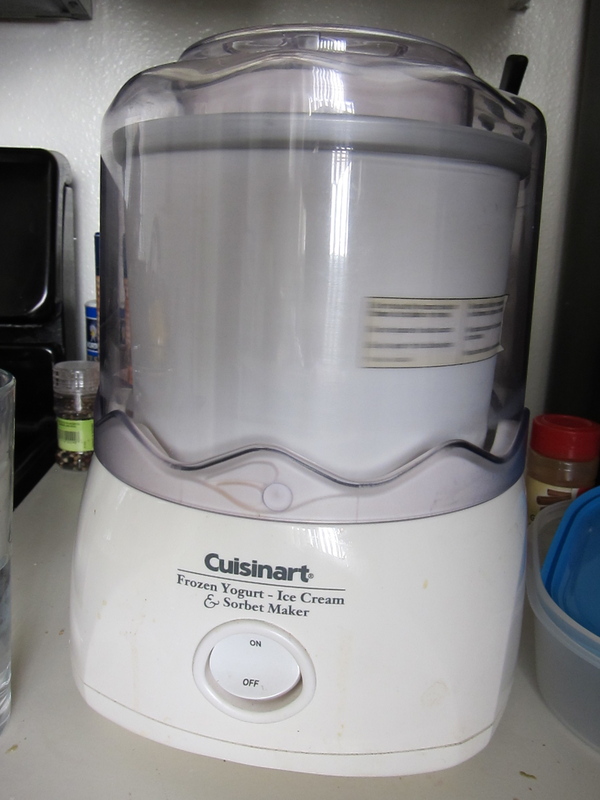 I borrowed my mom’s ice cream maker a while ago and it’s just been taking up space in one of our cabinets ever since. I did a little research and actually found out that one of the oldest references to ice cream comes from the Persian Empire. As early as 400 BC, Persians would pour grape concentrate into a bowl set on ice and eat that as a treat. Later they went on to make faloodeh which is an icy dessert with rose water and vermicelli noodles. Take a vanilla bean and scrape it out! 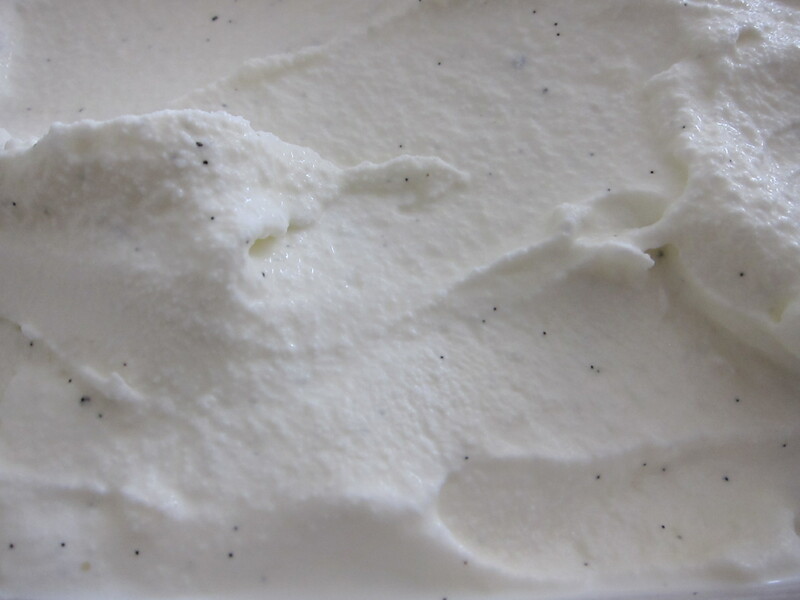 Now, have you ever wondered what you should do with your left over vanilla bean hull? I have the perfect idea. 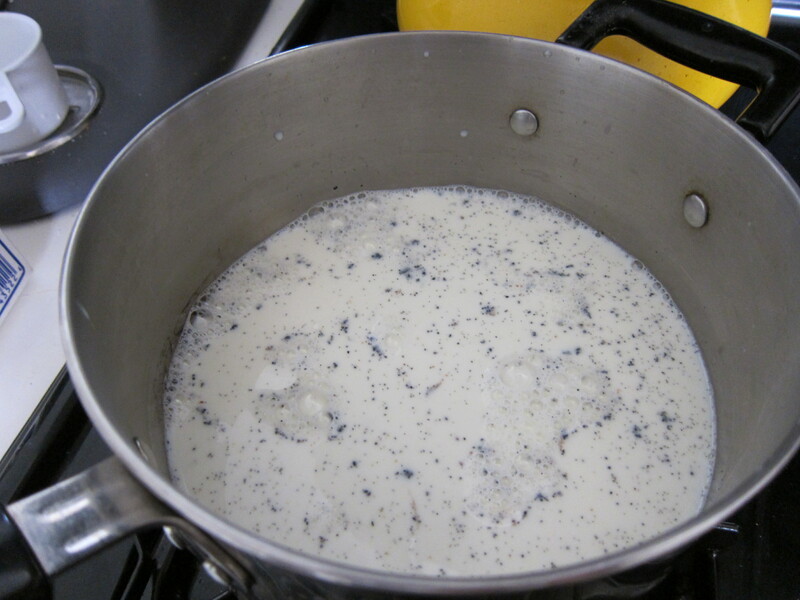 First, if you like milk, boil a cup or two of milk and drop the hull in it. Let it boil for a minute or two and take the hull out. You have a concentrated amount of vanilla milk that you can pour into your coffee or, hey, even drink just like that with a bit of brown sugar mixed in. Yum! 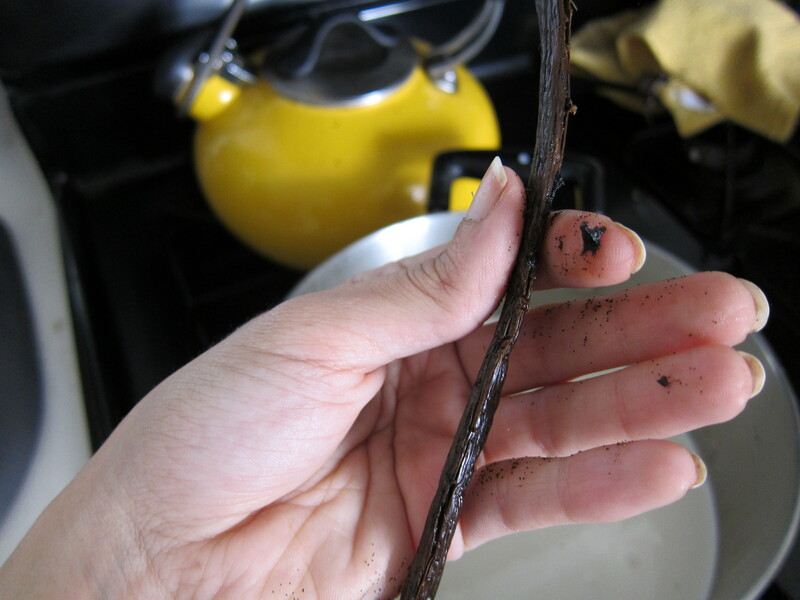 Take your vanilla bean husk, wash and dry it. Then cut it into little pieces. Then in a jar, interchange layers of sugar and the pieces. Screw the lid shut and in a few days you get delicious vanilla sugar that you can use in this recipe and others! So for the ice cream, you just combine all the ingredients together and put it in a saucepan. Bring the mixture to 170 degrees [if you don’t have a thermometer, that’s roughly about when bubbles start to pop on on the sides, make sure not to let it boil]. Remove mixture from heat and let cool slightly. 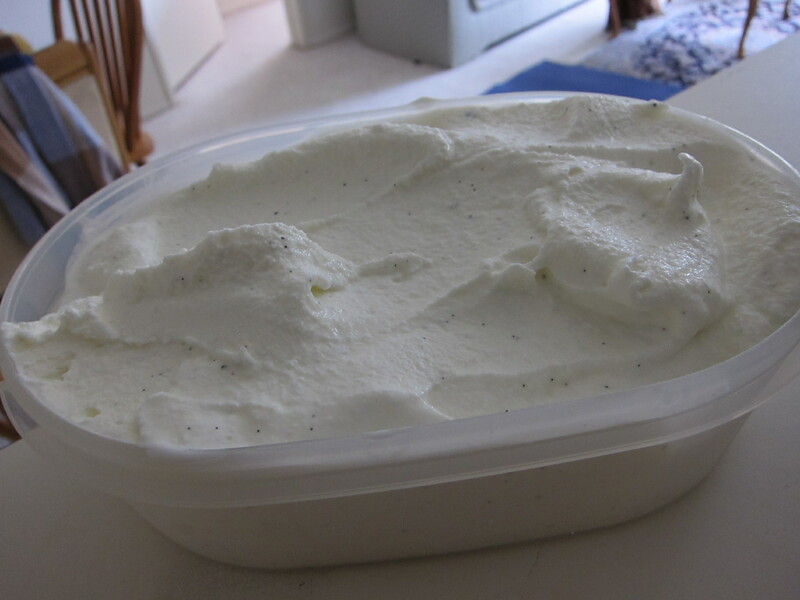 Place in an airtight container and refrigerate over night. 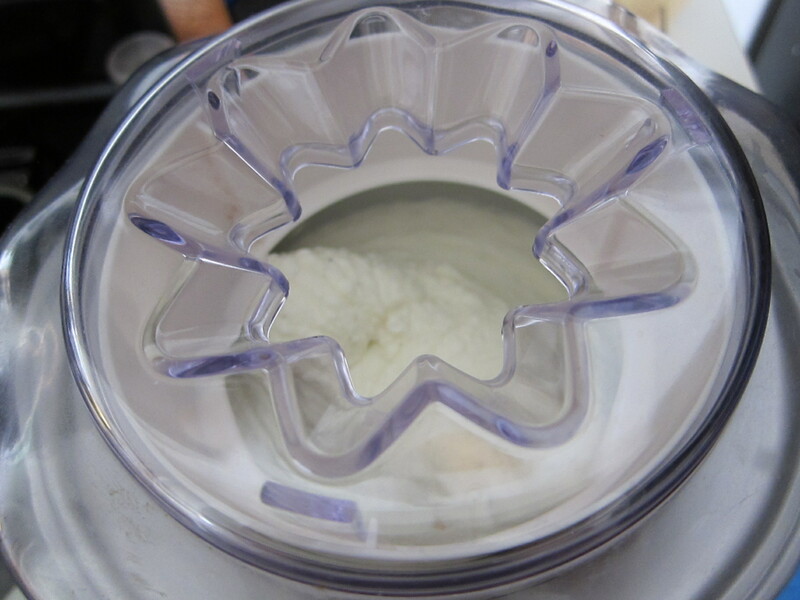 Then pour the mixture in your prepared ice cream machine and let it do its magic! It was creamy and delicious, especially with the bananas fosters! Combine all ingredients in a medium sauce pan and place on stove over a medium heat. Place in airtight container and refrigerate overnight to allow flavors to meld. If you’re in a hurry you can place the pan in an ice bath. for most ice cream makers.